Which Avengers Characters Should Appear in the Next Movie? Marvel’s The Avengers has just passed the billion dollar mark worldwide in just nineteen days. It has fast become one of the highest grossing films of all time and that should come as no surprise to anyone who knows anything about comic books or movies. With a sequel already green-lit by Disney, surprise surprise, there is the opportunity to introduce more characters both in the movies leading up to Avengers 2 and in the sequel itself, so who will appear? Here is my list of the characters I would most like to see and who I think would be a good and realistic casting choice. Ant-Man: I’m talking the Henry Pym Ant-Man, not any of the reincarnations. An Ant-Man movie seems to have been in the works for as long as Marvel Studios have been making films but things are finally moving forward and you would expect this film to tie Ant-Man in to the already existing Marvel Universe seeing as though he is one of the original Avengers in the comic books. I know that Nathan Fillion’s name has been banded around for the part and with Joss Whedon now having a little input in casting maybe Fillion has a chance of getting the role; I would be in support of this. Wasp: You can’t really have Ant-Man without having Wasp, the two are married in the comics and go hand in hand. 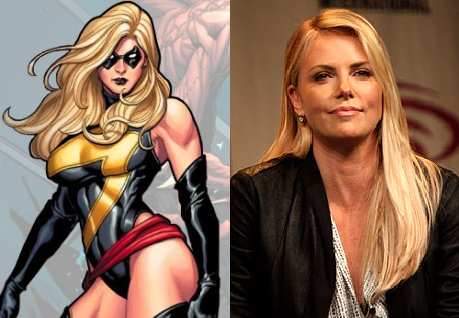 She was one of the founding members of the comic book world Avengers and is likely to be introduced in the Ant-Man film. Combine this with the fact that the Avengers is lacking some serious female representatives then I think it is highly likely that Wasp will feature sooner rather than later. When Wasp was first being rumoured Eva Longoria was linked with the part and I would definitely back this casting choice. She is a wonderful actress and although her success in acting has been on television I think that she could hold her own in an ensemble cast. Black Panther: Black Panther is one of my favourite comic book characters from Marvel and he was the first black superhero in mainstream American comics; he is African royalty and ruler of his own country with a long running association with the Avengers. I don’t know if Marvel would be able to afford this actor because he is absolute true quality but if he was to star in the role the movie would no doubt be a huge hit! My pick for this role would be Djimon Hounsou of Blood Diamond fame, I think he is the stand out candidate for this role out of the already known actors. Ms. Marvel: I believe that Ms. Marvel is one of the best female characters that Marvel has on its roster. Carol Danvers, who dons the outfit in the comics, has been a member on Marvel’s two biggest teams, Avengers and the X-men so who owns the rights to the character is unknown but hopefully we will get to see her in future Avengers films. Female superheroes don’t have huge success in their individual films (I’m looking at you Elektra and Catwoman) but as part of a team she could work really well. I would love to see Katherine Heigl get the part because I like her as an actress but I don’t think anyone would be in support of that so instead I will pick Charlize Theron. If you go beyond this point you are in serious SPOILER territory for The Avengers, but you should have seen it by now anyway. Vision: So the likelihood of Vision being included in the next Avengers film seemed less and less likely with the likelihood of Ultron appearing diminishing (you won’t understand that if you do not follow the comics but don’t worry). Anyway, as you will know if you have seen The Avengers Agent Phil Coulson of SHIELD died at the hands of Loki, yet he is still contracted to several more Marvel films and is remaining coy about his involvement with Iron Man 3. What’s more, people thought this was the work of Joss Whedon (a man known for killing off popular characters) but this was actually planned by Marvel’s man in charge Kevin Feige. Clearly Marvel have plans for Agent Coulson and in one interview they even said “I believe the letters L, M and D were mentioned somewhere’. L.M.D = Life Model Decoy. So will Agent Coulson come back as The Vision? There is no doubt that Clark Gregg has become a favourite of fans of the Marvel Universe as it is his appearance that helped to tie all the films together and make The Avengers possible. If Agent Coulson was reborn as The Vision I would think this was an absolute stroke of genius on Marvel’s part.